Wesley Kirton is the latest of many Guyanese – individuals and entities, at home and abroad ‒ who have called for a national conversation on suicide. 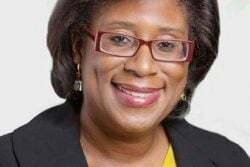 This call was also mooted at the National Stakeholder’s Conference on Suicide and Related Issues sponsored by The Caribbean Voice, Save Abee Foundation, Cara Hotel and Office Resources Ltd, in August. However, given that suicide is located within the wider framework of mental health and the stigmas and taboos attached to suicide are also attached to other aspects of mental health, we believe that there should be a national conversation on mental health on the whole. The fact is that Guyana needs a grassroots and community level response to mental health issues. 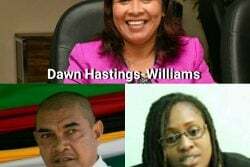 Thus the government needs to take the lead on instituting a national conversation on mental health, one that must be taken to every community in Guyana. Such a conversation should seek to elicit the views of citizens about mental health in order to reshape those views to redress the stigmas and taboos that currently exist. Additionally, such a conversation should garner suggestions on how to deal with various mental health issues; how citizens, communities and NGOs can be involved; what mechanisms need to be set up; what strategies must be implemented and so on. And this information must factor into the National Mental Health Plan, which is currently being finalized. One of the findings of the August conference was that there are individuals and organizations already established in various parts of the nation that, if affirmed and partnered with, can be integral to the process of realizing this national conversation. Also, The Caribbean Voice has a fairly extensive list of such organizations that can be used as a starting point and be added to by sourcing similar lists from various ministries, government agencies and departments, various embassies (especially the US), various international agencies with a presence in Guyana and various other NGOs. Not only would this lead to a comprehensive list that may well cover all of Guyana but it would also ensure that teams of personnel do not have to travel from Georgetown to every nook and cranny of the nation so that duplication is avoided. By including activists and stakeholders from throughout the nation in undertaking and managing the national conversation, the government/relevant ministry would not be called upon to invest tremendous resources while simultaneously a national network would come into being that can ensure that follow-up is done once the findings of the national conversation are processed and used to drive planning. The bottom line is that there needs to be a passionate response of sensitivity empowering citizens to assume responsibility by taking ownership, so that rather than an us vs them approach, tackling mental health issues, including suicide, should become a truly national undertaking and communities can become guerrilla warriors whose familiarity with and personal stakes in their terrain would ensure that they are effective strike forces. And, if inroads are going to be made, this conversation must become an in-house one; the powers that be must see this as a priority, relinquish resources and couple efforts with the citizens, stakeholders and organizations of similar passion and interest. This national conversation should also serve to provide info on all entities – government and NGOs – that currently offer help, as well as attempt to shore up other entities to also be able to do so, especially religious/cultural institutions and community based groups. And in this process attention must be focused on ensuring that the varied mental health disabilities, disorders and difficulties are demystified and extricated from their stigmatic and prejudicial moorings, as a first step towards responses that would include wide spread understanding and desires to seek help. In effect citizens must realize and internalize that optimal health cannot be achieved without means addressing and redressing issues that negatively impact mental health.